Hyundai Motor America posted its best October ever, with sales of 60,005, up 20 percent compared with October 2014. Tucson, Santa Fe and Santa Fe Sport, our CUV/SUV segment, continued at a brisk rate setting records for the month of October. Hyundai marked a monumental milestone today, selling its 10 millionth vehicle in the United States. Having started in 1986 with a single nameplate, reaching 10 million sales is a significant achievement that showcases the success of Hyundai’s continually expanding lineup. Following the best first half performance in company history, Kia Motors America’s (KMA) momentum continued with record third quarter sales, including a September sales record of 49,820 units, a 22.6-percent increase over the same period last year. Hyundai Motor America posted its best September ever, with sales of 64,015, up more than 14 percent compared with September 2014. It was a record CUV/SUV month as well with sales of Tucson, Santa Fe and Santa Fe Sport at an all-time high. Continuing to gain momentum, Kia Motors America (KMA) today reported best-ever August sales of 58,897 vehicles, a 7.7-percent increase over the same period last year and the brand’s fourth straight monthly sales record. August proved to be another strong month for the CUV/SUV and mid-size sedan segments, allowing Hyundai Motor America to post its best August ever, with 72,012 units sold, up three percent compared to August 2014. After outpacing the industry with the best first-half sales performance in company history, Kia Motors America’s (KMA) momentum continued in July with a record 56,311 vehicles sold. Backed by a strong month of CUV and mid-size sedan sales, Hyundai Motor America reported its best July ever with 71,013 units sold, up 6 percent compared to July 2014. Company achieves fourth-place industry ranking for the second year in a row. Elantra and Santa Fe finish in second place in their segments. Kia Sorento and Soul awarded for highest scores in compact multi-purpose vehicle and midsize SUV segments as five other Kia models rank among top three in their respective categories.With nearly 20-percent improvement, Kia owners had fewer issues with their vehicles than nearly all other car and truck brands. After setting an all-time monthly sales record in May, Kia Motors America’s (KMA) momentum continued with best-ever June sales of 54,137 vehicles, capping off the greatest first-half performance in company history. With more than 300,000 vehicles sold in six months, Kia is up 4.6 percent year-to-date. Hyundai Motor America today reported its best June sales ever of 67,502 units, up less than one percent, surpassing the record-setting month of June 2014. Year-to-date sales of 371,150 represents a two percent increase and marks Hyundai’s best opening six months ever. Kia Motors America (KMA) today announced all-time best monthly sales of 62,433 vehicles in May, marking the second time Kia has surpassed 60,000 units in a single month. Hyundai Motor America today reported May sales of 63,610 units, down 10 percent compared with its record-setting month of May 2014. Year-to-date sales of 303,648 units are up two percent for the year. Kia Motors America (KMA) today announced April sales of 53,282 vehicles, led by the U.S.-built* Optima midsize sedan and all-new 2016 Sorento CUV, as well as the iconic Soul. Combined sales of the Sorento and Sportage crossovers are up 19.8 percent year-to-date. Hyundai Motor America today reported its best April ever, selling 68,009 units, a three percent increase compared with sales in April 2014 and up, year-to-date, six percent. Kia Motors America (KMA) capped a record­setting year with best­ever December sales of 45,587 vehicles –up 35.6 percent over the same period in 2013. Hyundai Motor America today announced a record December sales month of 64,507 units, up two percent versus the record­ setting period in 2013. Kia Motors America (KMA) today announced November sales of 44,936 units, pushing the fast-moving brand beyond the 500,000-unit mark for the third consecutive year and on pace for an all-time annual sales record. 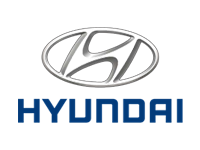 Hyundai Motor America today announced November sales of 53,672, down four percent versus the record setting period in 2013. Hyundai Motor America today announced October sales of 50,081 units, down 6 percent versus the same period in 2013. Hyundai’s award-winning Elantra, also known as Avante in other parts of the world, recently sold its 10 millionth unit globally. Hyundai Motor Company’s brand value continues to climb, reaching a new high as the 40th most valued global brand on Interbrand’s 15th annual 100 Best Global Brands Report.